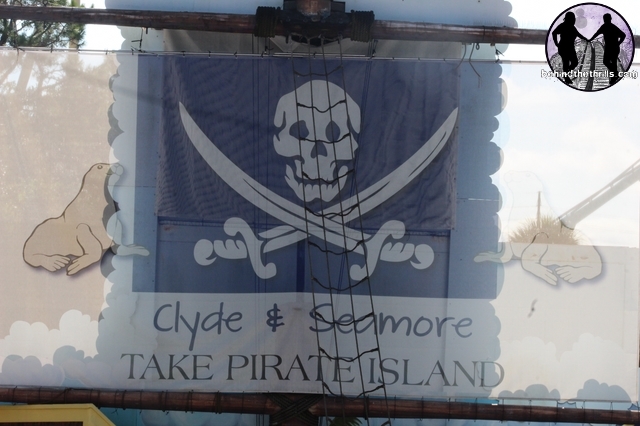 It’s been 15 years since Clyde And Seamore took Pirate Island but now they’re giving it back. 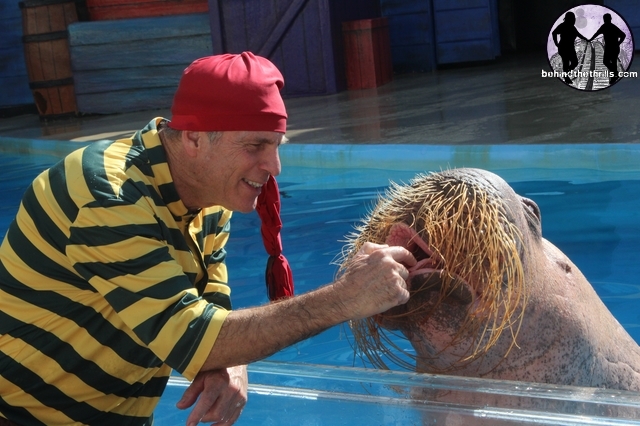 The hilarious show featuring sea lions and otters is coming to an end. 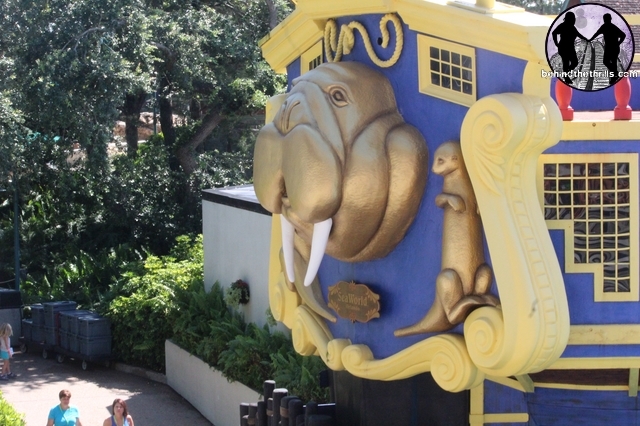 Don’t worry,SeaWorld wouldn’t leave fans…marooned! 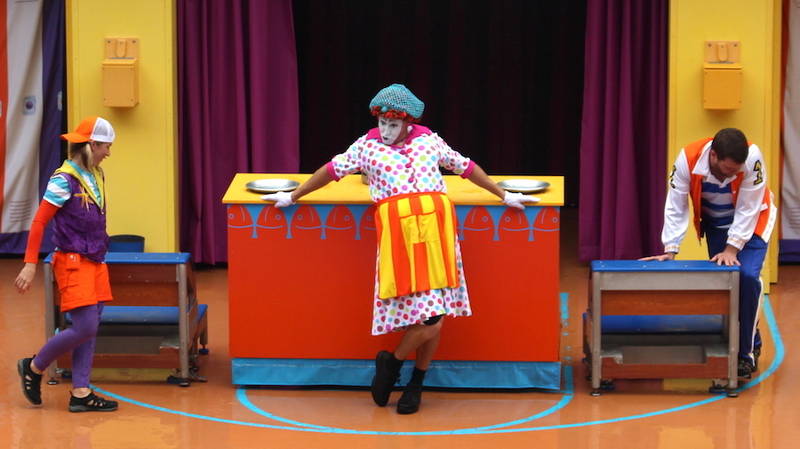 An all new show is coming to Sea Lion and Otter stadium, and it’s time you learned a thing or two. 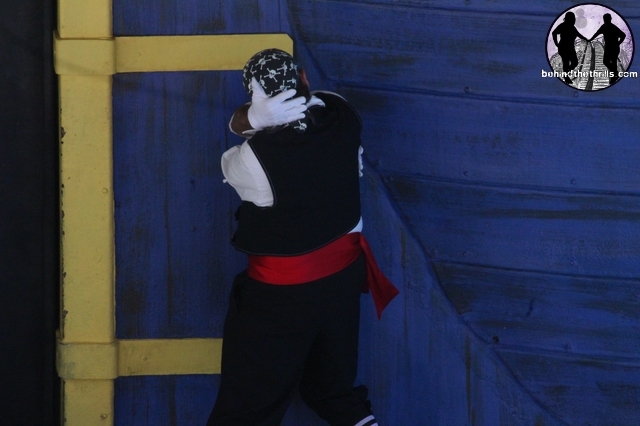 We were out to bid a fond farewell to Clyde and Seamore, and we did so in typical pirate fashion. 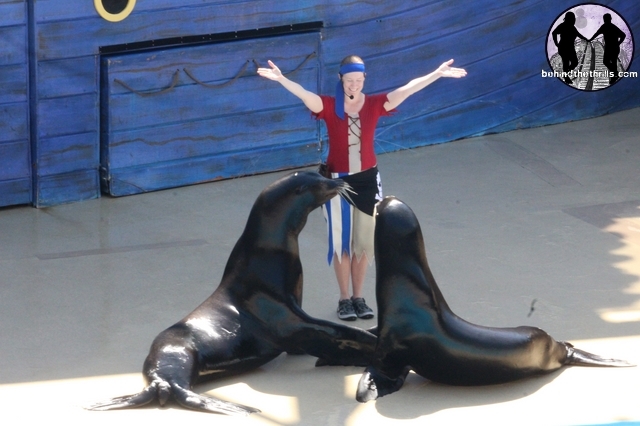 We were able to sit in on a training session with a pirate and one of the 12 sea lions that play Clyde and Seamore. 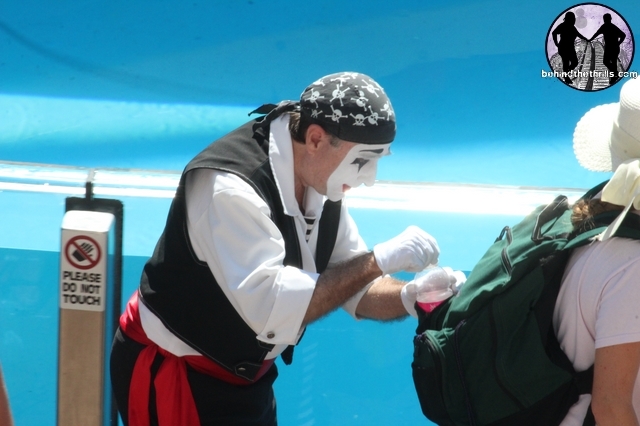 It typically takes five years to get a sea lion ready to perform in a show. 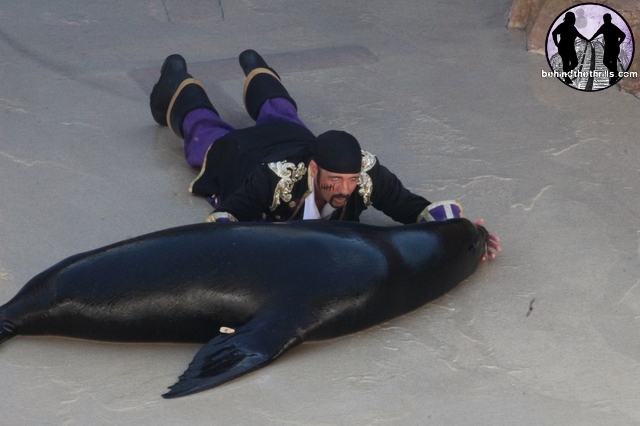 Of course, every sea lion is different, just like every person is different. 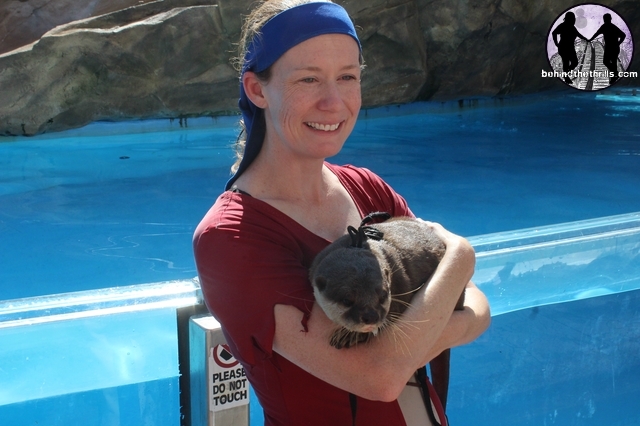 Some sea lions do catch on a lot faster than others, it all depends on the animal. 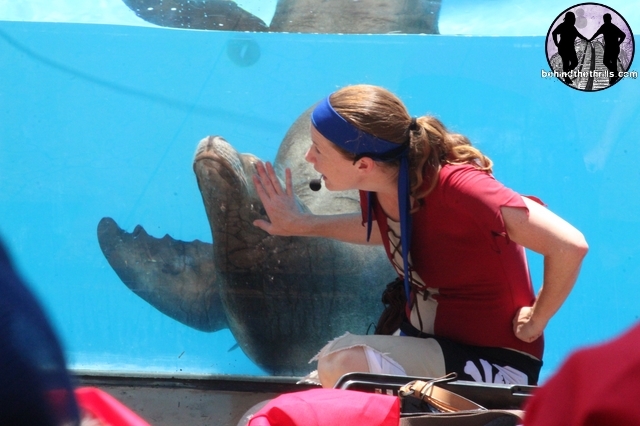 Most people believe that sea lions are motivated by food, but that’s not the case. 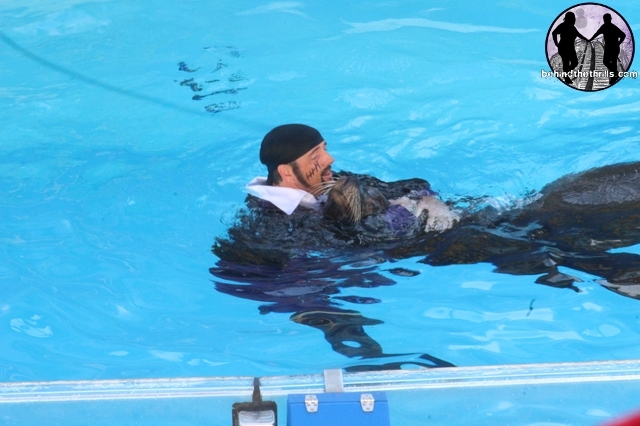 Sea lions are naturally curious animals, which makes them perfect for training. 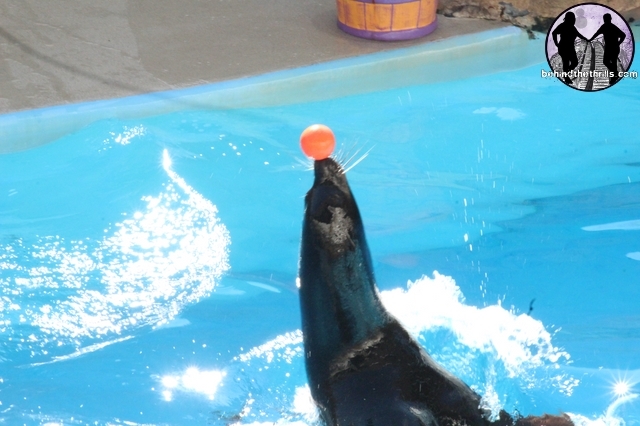 The animals start with a target ball, and are taken through every step of a behavior (or tricks as you may call them). Every behavior is rewarded with some kind of reaction, called a reinforcement. All good behaviors are given positive reinforcement, which could be food, but is usually something like a rub down or even a hug. Behavior that is not wanted is simply ignored. There is no punishment given, and any unwanted behaviors just aren’t given attention. 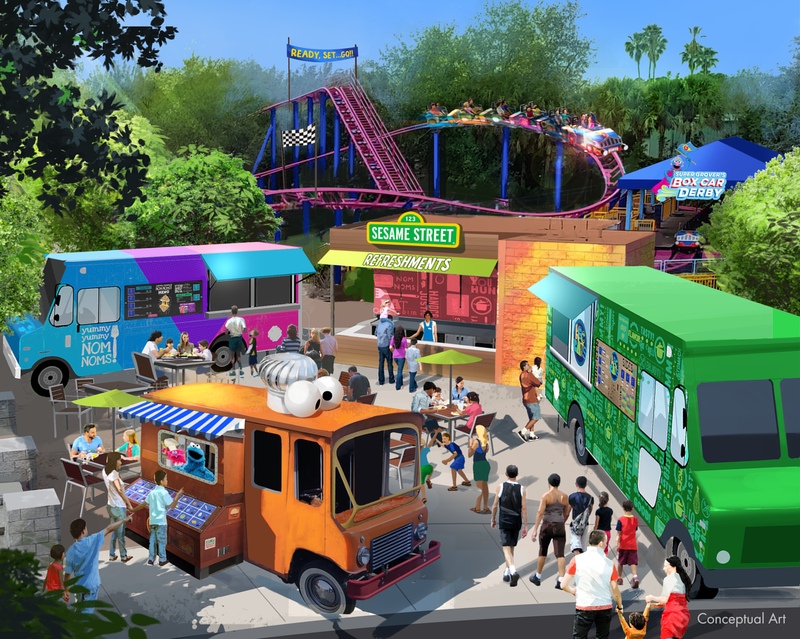 So what exactly is replacing Pirate Island? Those details have not been released yet but should be coming soon. 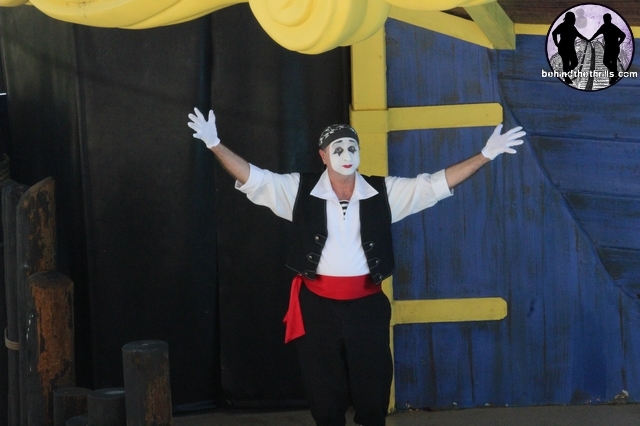 Whatever show replaces Pirate Island is sure to be full of silliness and fun. We actually have a few details coming later today, so stay tuned. 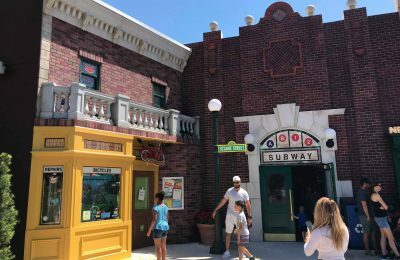 Stay tuned for more from SeaWorld Orlando, and be sure to get social with us on Facebook and follow along with us on Twitter @BehindThrills for the latest updates.